They might not have a direct impact on the field, but we all know it’s only a matter of time before the Kings take back their throne. You know you’re good when athletes from different fields mention you as their source inspiration when it comes to achieve success in their own sports. However, two guys are sitting atop of the sports world. When both icons flipped the switch to launch their new sport’s era. We all started to speculate like stock brokers. But have you felt the earth shaking yet? To me, like many others, it’s the transfer of the year in the NBA. Some will argue the CR7 effect won’t be the same and that Lebron in LA is just Hollywood. Cristiano is arguably the biggest star of the football world. 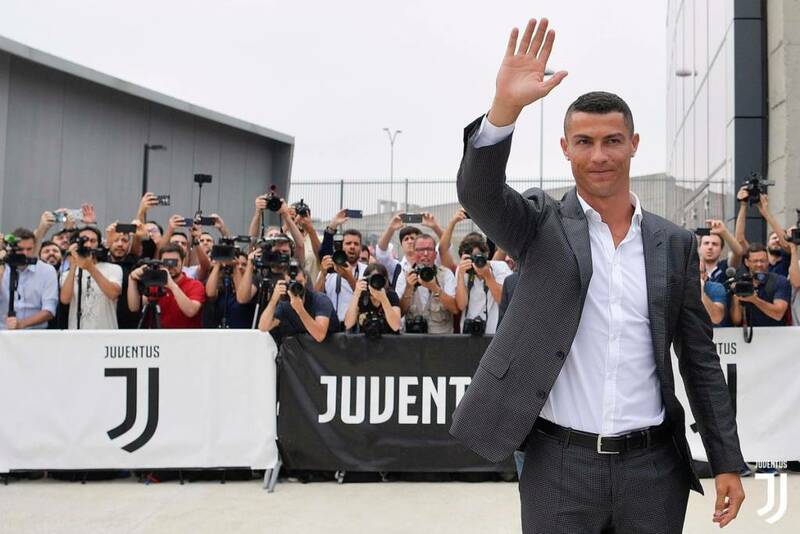 As CR7 made a move out of Madrid after 9 great years to a new house with the Italian flavored JUVE, he shifted the power back to the Italian side when it comes to pursue the UCL. Remember, the Portuguese superstar was hired by Real from Manchester United in 2009 for the same reason. In the Spanish club, he scored 451 goals in 438 games. There were 16 titles, including four European Champions Leagues, three World Club Championships and two Spanish Championships this record its not to mess with! Making him the GOAT at Real – and maybe the GOAT, period. Voted five times the best player in the world, the transfer was for 100 million euros in a four-year deal like the LBJ, what a coincidence. LeBron James taking his talent to Hollywood, literally and figuratively – with 154 million dollars (132 million euros) coming into his pocket in the next four seasons. 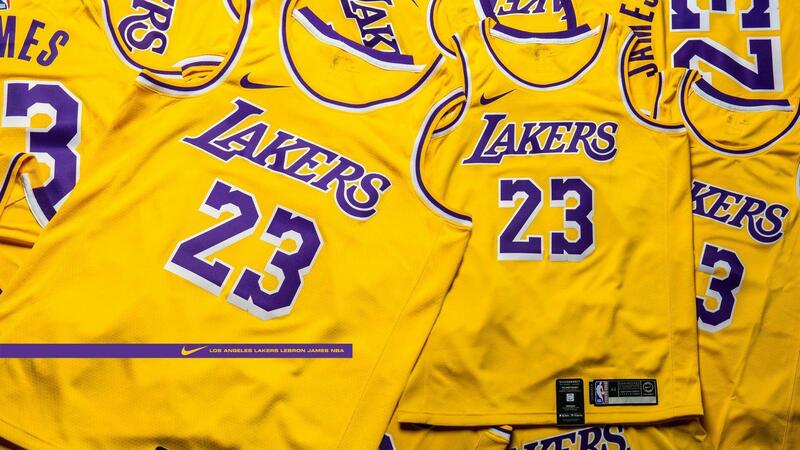 Since that Sunday night – the night when the news broke out– the countdown is on for all the Los Angeles Lakers fans. The LeBron-quake is in LaLa Land, and in a matter of minutes, the hunt for tickets quickly became frantic. 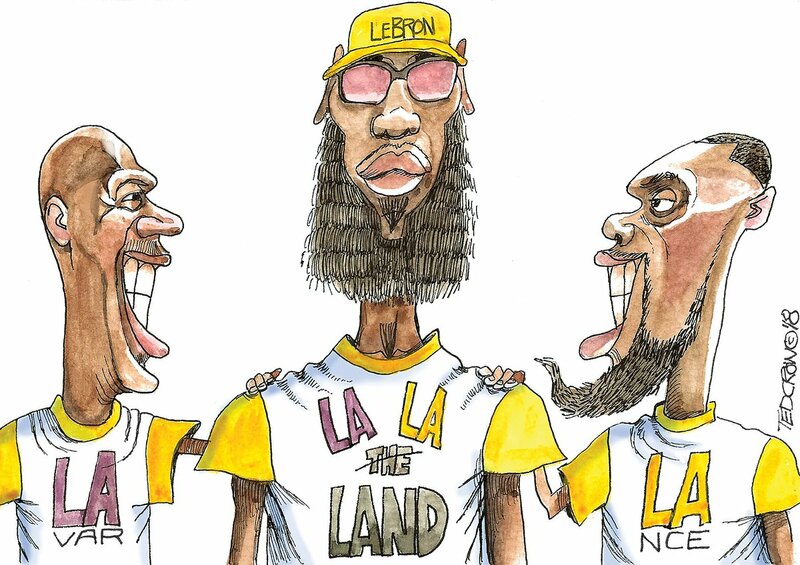 The effect seen in Los Angeles is differing of the Cleveland effect. Who knew, right? California fans have not wasted any time as the LeBron jerseys became the new gold rush. The number of orders was 600% higher than when he announced his return to the Cleveland Cavaliers in 2014 –According to the American ESPN. Among an all-time biggest sales day of a NBA jersey. In the official NBA store and in some of the major stores, some sizes, such as medium and large, are already sold out. Ronaldo’s case is even more astonishing. The difference could be seen within 24 hours upon his arrival, after his transfer was made official. Juventus sold 520 thousand shirts with his name, each one costs $ 120. This generates a turnover of US $ 62.4 million. The amount almost covers half the price paid for the transfer and sales are expected to increase from now on. 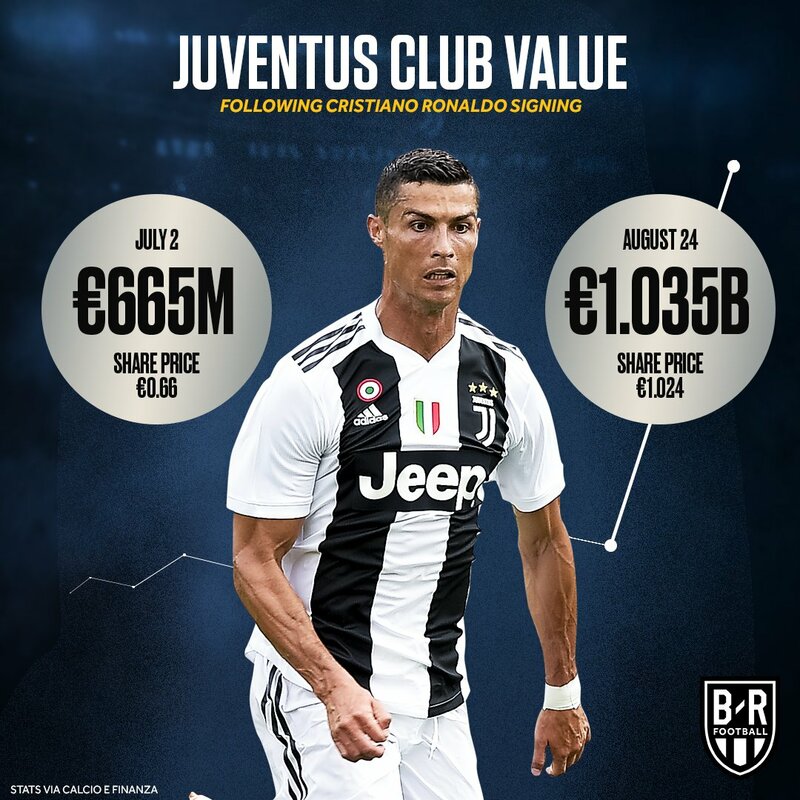 This amount does not represent the profit that the club will have considering that Juve gets 10% to 15% of that value but anyway…24 hours generated all that cash. 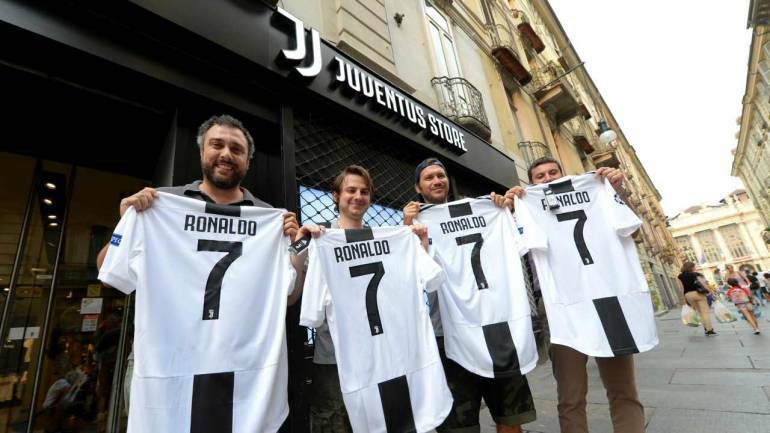 Ronaldo’s fans from the Juventus store. LBJ and CR7 are global superstar athletes. Same move, same impact !